Guest: Dr. Philip Lubin; Topics: The physics of interstellar flight, technology, development, directed energy lase beam propulsion and more! Please direct all comments and questions regarding specific Space Show programs & guest(s) to the Space Show blog which is part of archived program on our website, www.thespaceshow.com. Comments and questions should be relevant to the specific Space Show program. Written Transcripts of Space Show programs are a violation of our copyright and are not permitted without prior written consent, even if for your own use. We do not permit the commercial use of Space Show programs or any part thereof, nor do we permit editing, YouTube clips, or clips placed on other private channels & websites. Space Show programs can be quoted, but the quote must be cited or referenced using the proper citation format. Contact The Space Show for further information. In addition, please remember that your Amazon purchases can help support The Space Show/OGLF. See www.onegiantleapfoundation.org/amazon.htm..
We welcomed Dr. Philip Lubin to the program to discuss the physics, technology, and development of interstellar flight, the NASA Deep-In Directed Energy for Relativistic Interstellar Missions and The Breakthrough Initiative Starshot Project. For more information, visit Dr. Lubin's website, www.deepsace.ucsb.edu. In addition, much of what Dr. Lubin talked about today is part of a comprehensive paper on the subject, "A Roadmap To Interstellar Flight." You can read or download this 67 page paper at www.nasa.gov/sites/default/files/atoms/files/roadmap_to_interstellar_flight_tagged.pdf. Our 93 minute discussion was in one segment as we had originally planned for a 60 minute program. In addition, we dropped Dr. Lubin's cell phone call twice during the program. We apologize for this program disruptions. We started the discussion with Dr. Lubin talking about the NASA program NASA Deep-In Directed Energy for Relativistic Interstellar Missions followed by the Breakthrough Starshot program. Again, check them both out at his UCSB.edu website referenced above. Dr. Lubin went into detail in describing these interstellar concepts using a directed energy laser array with a focused beam for planetary defense as well as spaceflight propulsion. He talked about the technology, the challenges, the benefits and the multiple uses that also include flights to Mars. We talked in detail about the power requirements for the directed energy laser beam unit along with the location for such a laser array. As you will hear, the Starshot project references a ground based array while the NASA project references an on orbit location. Both of these possibilities were discussed in detail along with their unique energy requirements. Listeners asked Dr. Lubin questions about the energy usage for the laser beam array so all in all , this is a discussion you do not want to miss. Laser array propulsion challenges and needed key technologies were part of our discussion. Dr. Lubin talked about the coherence of amplifiers and the current TRL for space usage. Challenges were discussed in detail as were listener questions suggesting that power could come from the grid. Don't miss what Dr. Lubin had to say about this. Scaling up projects were discussed, especially in the context of using more power since it would be possible to send a very large spacecraft on its way as added mass would take more power. One of the things Dr. Lubin pointed out was that the engines were not on board the spacecraft though they would contain a tiny RTG. Without the need to carry the engines or fuel, there would be no mass attributed to fuel or the engine so the spacecraft would be lighter providing for more payload mass options. In talking about the directed energy focused laser beam for propulsion, he said it would only be turned on for a few minutes to push and accelerate the spaceship. He described this process in detail, including the range of the targeted beam of laser light. Several times during our discussion we talked about light/photon beaming and energy. In addition, our guest was asked about how the tiny spacecraft might communicate back to Earth. He said they would do so at light speed using the same system used for the photon push to interstellar flight. Later in the discussion, we talked about the goals of the NASA project and those of Starshot. For example, one target has been set at possibly reaching the exoplanet Proxima B using about 25% of the speed of light. Dr. Lubin suggested a 20 year round trip including getting data and images back from the tiny wafer like spacecraft. He then described the continuation of sending wafer spacecraft to interstellar space during the 20 year period as thousands if not millions of tiny spacecraft could be sent on their way using the described interstellar system. We talked technology throughout the show. Electronics have changed and grown exponentially and that is what has made possible serious concepts and proposals for interstellar flight. The same with laser and beaming technology. Not so with either chemical rockets or current human spaceflight capsules. We also talked about multiple uses for the directed energy beam such as planetary defense and sending various types of payloads to Mars, including humans to Mars. Don't miss what he said about these subjects. Artificial Intelligence was discussed as was the increasing quantity of data that could be put on the wafer chip being sent to interstellar space. he talked about the possibility of putting actual DNA on the wafers, having the capability to send tweets from every person on Earth and soon being able to send full length HD movies from every person on Earth onboard the spaceships. Near the end of the program, Dr. Lubin was asked about time travel as shown on Start Trek. This prompted a very interesting discussion by our guest so don't miss it. Next, listener Sara asked about the academic path for a present day high school student to be able to do the type of work our guest does. Make sure you hear his response but be prepared to study lots of math. Another listener wanted to know if there was an interstellar commercial business case yet. He said no but again, listen to all of his comments regarding this excellent question. As you will hear, Dr. Lubin's response was not black or white. Our final question dealt with exotic propulsion such as EmDrive, Mach Thrusters, etc. Dr. Lubin had much to say about imaginary technology and the need to be skeptical about science. While not completely dismissive, he addressed the need to be skeptical and said he said he was focused on real world possibilities for moving forward. Again, you do not want to miss all of what he said about exotic propulsion. Do not miss the concluding comments offered us by today's guest. 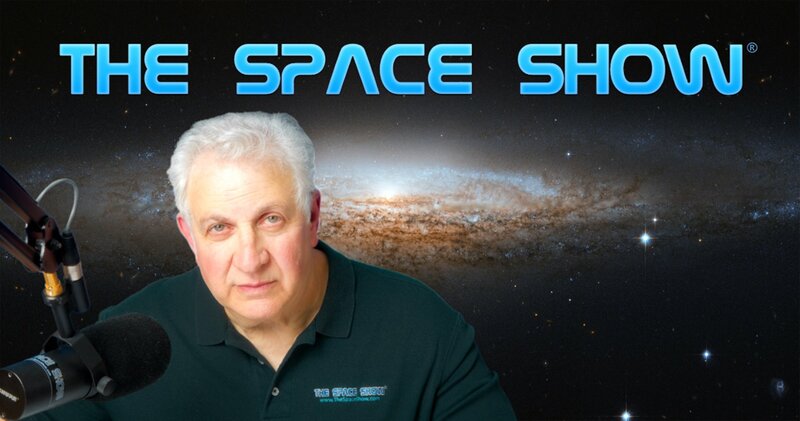 Please post your comments/questions for Dr. Lubin on TSS blog which is part of TSS archives for this show at www.thespaceshow.com/show/23-jan-2017/broadcast-2850-dr.-phil-lubin.